Want to be featured prominently in this guide? Contact us for sponsorship opportunities! Welcome to the seventh annual Fairfax Family Fun Halloween Guide – 2017! Our annual list covers Fairfax County, Northern Virginia, and a bit of DC. Also like our Facebook page for updates Most events listed below are “all-ages,” but some are just for young kids and others for teens and adults. Age guidelines, provided by event organizers, can help parents decide what is right for their families. 1. Events are subject to change (and some may be weather-dependent) so always check with the event host (Fairfax Family Fun is NOT involved in the planning of these events). 2. 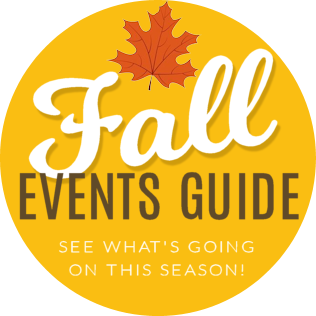 Remember that this list is for Halloween events: we also have a Fall Festivals Guide. 3. You can scroll down this page for the main list (ongoing events first, then one-time activities) for detailed descriptions by date and with links to the official websites. Fields of Fear at Cox Farms: At night Cox Farms becomes the “Fields of Fear” with special haunts, bonfires, and games. Basic tickets ($13) include the Firegrounds and Dark Side hayride; “Fear Plus” tickets ($19) add one entry to the Cornightmare maze or The Forest: Back 40 tour; “Fear Deluxe” ($25) includes all attractions. Please note: While Fields of Fear does not go for overt gore, it is meant for teens and adults wanting a good scare” and recommended for ages 12 and up. The event runs Fridays and Saturdays through November 4, with a bonus night of Sunday, October 8, 7:30-11 pm; last entry at 10 pm. See our review! Madhaunter’s Madhouse: After designing terrifying attractions for 15 years on the west coast, the Madhaunter brought his mayhem back to Northern Virginia where it originated more than 25 years ago, moved to Lorton in 2016. This event, Fridays and Saturdays, has an indoor and outdoor maze of terror that “will have you jumping out of your skin at every turn.” It is not recommended for kid under age 10, due to the fear factor. Admission starts at $15 per person. Haunted Nightmares at High Hill Farm: Experience the “supernatural terror” that exists at this haunted 100-year-old farm. Small groups are led on tours select dates on October weekends and Halloween night. Tickets are $12 for daytime tours, $15 after 5 pm. There are also daytime and nighttime hayrides and a corn maze ($6 extra). Please note: evening haunted tours are not recommended for younger kids; the daytime ones are slightly less intense and may be okay. There’s also an inflatable haunted house for kids. Gravensteen: This “live experience in terror” is based on a story of a haunted place. This haunted house is huge with over 50,000 square feet on three floors of terror and scares waiting for you. This is a thrilling attraction with intense sounds, lights, low visibility, strobe lights, fog, and other effects. It is recommended for teens and adults and is open on weekends Oct. 13-21 and daily Oct. 26-31. Boo at the Zoo at Roer’s Zoofari: Roer’s Zoofari (formerly the Reston Zoo) invites you to a happy, not scary, Halloween, with trick-or-treating from 3 pm to 6 pm at various stations and animals to visit. Kids under age 2 are free; $10 per person all other guests. Annual Great Falls Spooktacular: For more than 20 years, the town of Great Falls has hosted a fun and free Spooktacular for kids to enjoy trick-or-treating and a parade. The event, 5-7 pm, is recommended for Great Falls children up to age 12 (6th grade) and their families, and includes a haunted house and a pet costume parade at 4 pm. This is a rain-or-shine event. Leesburg Halloween Parade: Each October 31 since 1957, the Kiwanis club in Leesburg has sponsored a big Halloween Parade, now with more than 200 police, and fire and rescue units, high school marching bands, floats, horseback riders, walking units, decorated vehicles, and more one a 1-mile route on King Street departing from Ida Lee Park at 6 pm. Mall-o-Ween at Fair Oaks Mall: Bring your princesses, ninjas, superheroes, ghosts and goblins to trick or treat at Fair Oaks Mall between 5:30pm and 7:30 pm. A community tradition since 1987, the evening promises a howling good time with costumed characters greeting the children and other surprises in a safe, non-scary, climate controlled environment with great shopping and dining options for the whole family. Manassas Park Trunk or Treat: Manassas Park hosts a “Trunk-or-Treat” at its Community Center parking lot. The free event provides a safe alternative to door-to-door trick-or-treating and includes special activities. Manassas Park Trick or Treat at Chick-fil-A: Chick-fil-A Air & Space Museum Parkway in Chantilly invites kids to stop by between 5 pm and 7 pm in costume to enjoy a free treat. Jack-o-lantern display: For several years now, the Dickover family in Centreville has been carving dozens of intricate jack-o-lanterns during the Halloween season. On Halloween night, these amazing works of pumpkin art are put on display outside for anyone to visit and see. Trick-or-Treat at Carlyle House Park: Carlyle House Historic Park will hand out candy between 5-7pm on Halloween night. This is a free, drop-in event. The Glow: The Glow is a display of more than 5,000 hand-carved jack-o’-lanterns. On weekends, a section of Lake Fairfax Park in Reston, Virginia, will be aglow with the lights from these artistically carved gourds. There also will be fall treats and drinks, photo opportunities, and kids’ activities. The event opens on October 6, 2017, and takes place Thursdays through Sundays until October 29. Shocktober: Billed as “Northern Virginia’s only real haunted house” Shocktober opens Fridays-Sundays in October, 7-10 pm, with different haunts: Paxton Manor and The Haunted Well of Souls. Each tour runs about 20-25 minutes and takes groups of 8-12. All attractions are “designed to be interactive, extremely scary, and intense,” and participants must sign a waiver; best for teens and adults. Tour prices vary. See our review! Buckland’s Route 29 Haunted Farm: The Rt. 29 Haunted House is now the Haunted Farm, a 20-minute walk “only for the strong-hearted souls. We DO NOT recommend this for kids under 10 unless you want them sleeping in your bed for weeks.” Admission is $17 or $20 per person. Halloween on the Green: Enjoy spooky crafts, games, prizes, storytelling, moon bounces, petting zoo, goodies and carve or paint your own pumpkin from 11 am to 12:30 pm on the Vienna Town Green; free admission. Blood and Guts Run: The Blood and Guts Run is an all-ages 5k fun run for those who love a thrill. There are more than 15 obstacles and hundreds of blood-squirting “zombies” that will be attempting to infect you with “blood”-filled water guns. Entry fees are $35 per person; the event is 9 am to 2 pm. Floating Gourd Night: It’s a pumpkin patch in the pool! Pick your pumpkin, and after some swim time decorate your gourd at the Manassas Park Community Center. Westfield High Haunted House and Carnival: Westfield H.S. Theatre hosts its annual Haunted House and Carnival, a community event and fundraiser, 5-8 pm. Typically there is a carnival with kids’ activities for younger audiences and a traditional (scary) haunted house. Westfield Theatre students design, build, and perform in the events; tickets are $3 for the carnival and $6 for both attractions. Concessions will be available for purchase. Spooky Night Time Corn Maze: For two nights only, the Loudoun Valley Drama Club will turn the maze at Wayside Farm Fun into a spooky haunt. Visitors can choose to either navigate the corn maze in the dark at night without extra spooks, or pick the spooky path and plan to be scared! Regular admission fees ($10 per person age 3 and up) apply. Boo at the Zoo (National Zoo): Boo at the Zoo is a fun, safe, exciting, and unique way for kids ages 2 to 12 to trick or treat. With more than 40 not-so-spooky treat stations, animal demos, zookeeper chats, and decorated trails, this event (5:30-8:30 pm) at the National Zoo is frightfully fun for the whole family. With traditional chocolates, as well as healthy snacks, souvenirs, and other items, thousands of Boo treat bags will be brimming with goodies at the end of the evening. Don’t forget your costumes! Everyone age 2 and up needs a ticket; $20 for Zoo members; $30 others, plus fees and parking (tickets are $5 more at the gate). Burke Lake Park Ghost Train: Fun daytime ride on a miniature train (that kids and adults can board) through beautiful Burke Lake Park. There will be Halloween decorations but it’s “no screams, just treats.” Rides take place between 10 am and 6 pm; tickets are $6 per person. Halloween Family Fun Day: Come dressed in your favorite costume, and enjoy a show by Peter McCory, a famed one-man band, at noon, followed at 1:15 p.m. by Bob Brown’s Puppets in Monster Madness. Little ghosts and goblins up to the age of 8 will try their skill at winning candy while they play carnival games until 2 pm. Free, drop-in event; all children must be accompanied by an adult guardian, age 18 and older for the entire event. Fall Fest at Lake Accotink Park: Enjoy Halloween-themed mini-golf and haunted carousel rides from 4 pm to 8 pm at the Lake Accotink marina. Bring flashlights if staying after dark. All-ages event; $8 per person. Admission includes unlimited rides and rounds. Haunted Forest at Halloween Woods: Northern Virginia Regional Park Authority’s Algonkian Park wass the site for this half-mile hike and scary adventure through the haunted White Trail. The event is not taking place in 2017 but will return in 2018. Devil’s Den: This 26,000-square-foot attraction is designed to scare everyone from children to adults. It uses “Hollywood quality sets, professionally trained actors and we employ various tactics to assault every one of your senses” for “an exercise in REAL LIFE horror.” This is an “ultra-intense” haunted attraction and not suitable for those under 12 or with health conditions. Basic admission tickets are usually $15; Fridays-Sundays. 71st Annual Vienna Halloween Parade: For seven decades, the Town of Vienna has put on a volunteer-run Halloween parade that now has grown to nearly 100 entries and 35,000 participants and spectators. The parade is at 7 pm and runs down Maple Avenue (Route 123) from Branch Road to Center Street (about a half mile) and lasts 1½-2 hours. This event is held rain or shine! Costumed kids who want to participate gather at 6:30 pm at Virginia Commerce Bank to lead the parade. Grace Covenant Church Fall Festival: Celebrate the fall season and Halloween with Grace Covenant Church in Chantilly! The fun, 6-9 pm, includes carnival games, moon bounces, a petting zoo, a moving train, face painting, and a dunk tank. It’s fun for the whole family! Costumes are encouraged! Admission is free and so is popcorn, cotton candy, and caramel apples. Food trucks will be on site for dinner options. The Fairfax Halloween Monster Bash: Enjoy nightly, outdoor hosted horror movie showings Thursday through Sunday, plus a Monster Madhouse house of horrors every night. On Friday night, enjoy a rock concert with the bands Monster Madhouse and Stormin’ Norman, with a costume contest for cash prizes. Other weekend fun includes an all-day and night Halloween fest on Saturday. Activities include the Boo Brew and barbecue tent, kids’ trick-or-treating, family games, the Ghost Roast BBQ cook-off, and horror movies after dark. All ages welcome; tickets are $5 or $10 and free for kids under age 10. All activities take place at the Arlington-Fairfax Elks Lodge, 8421 Arlington Road in Fairfax, Virginia. Boo-stravaganza: Annual event at the Indoor Arena Barn at Frying Pan Farm Park. Come dressed in your favorite costume to enjoy fun, games, and a wagon ride. Finish the evening with treats and a small pumpkin. Reservations required; register for the 6 pm or 7 pm admissions, $10 per person. My Gym Chantilly Halloween Party: Get ready for Halloween with a fun and safe indoor party with a Halloween theme and all the fun to explore at My Gym Chantilly! Party times are 2:30-3:30 pm (for kids age 3 and under), 5:30-6:30 pm (all ages), and 6:45-7:45 (all ages). Please make sure that costumes are safe for climbing equipment, jumping into ball pit, flying across the gym on the Space Flight, and participating in other activities. Admission is per child and cost $15 for My Gym members and $18 for all others. Reservations are required. Trick-or-Treating at Mount Vernon: Get ready for a historic treat! The Mount Vernon estate opens its doors for trick-or-treating in the historic area and other fun and games on the grounds, from 3:30 to 6:30 pm. There will be a scavenger hunt, wagon rides, colonial games, crafts, stories, costumed characters, and demos. Tickets required; $12 per adult and $6 per child (event does not include Mansion tour or other regular attractions). Ghosts, Goblins, and Ghouls Spooktacular 5K: Too scared to take the Shocktober haunted house tours? Then check out their “sister” event, the annual Ghosts, Goblins, and Ghouls Spooktacular 5K and Scarecrow Spring Fun Run at OneLoudoun. The fun starts with the fun run at 3 pm, followed by the 5K race at 4 pm and the costume contest for kids at 5:15 pm (they also get to trick-or-treat). 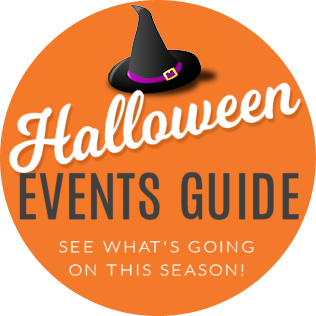 Manassas Haunted Happenings: Have a wickedly good time in Historic Downtown Manassas with games, trick-or-treating, and a kids’ costume contest, all from 10 am to noon. Dulles Town Center Mall-o-Ween: From 10 am to noon, kids can trick-or-treat at Candy Cauldrons throughout the center, make Halloween arts and crafts, enjoy a Halloween Magic Show by Count Trickula at 11am, and take free horse-drawn hay rides at the main entrance of the mall. Trick-or-Treat at Reston Town Center: Start your trick-or-treating early! The Reston Town Center invites you to hunt for treats and goodies, noon-4 pm. Costumed children visit participating retailers, identified by the pumpkin flyer in the window. At 1 pm, families can enjoy a spooky, magical performance for all ages by Turley the Magician at the Fountain Square. House of Reptiles and Night Ride: Test your courage at Ellanor C. Lawrence Park as you meet meet and touch creepy-crawly creatures in darkened rooms decorated for the season. Once you “survive,” celebrate with a 15-minute wagon ride through a moonlit meadow and s’mores by the campfire. Admission is $10 per person; event is 7-8:30 pm. Halloween at Colvin Run Mill : Dress up in your Halloween costume, drop by anytime between noon and 3 pm, and enjoy some not-so-spooky fun! Create Halloween crafts, enjoy hands-on activities, see a grain grinding demonstration and trick-or-treat around the site. This event is sponsored by the Friends of Colvin Run Mill and is geared to kids ages 5-12. Admission $3 in advance or $5 on event day; no reservations required. Trick-or-Treat at Bull Run Plaza: Collect candy and other goodies from the merchants of Bull Run Plaza, 2-4 pm. The event goes on rain or shine. Fear-less Fest: In this outdoor evening program (7-9 pm), join a naturalist for a night hike at Hidden Oaks Nature Center, meet costumed creatures including a black widow spider, skunk, owl, and a dead tree who explain why they have scary reputations. Investigate real animal skulls, owl pellets and make crafts. For ages 4 and up (each family should bring one flashlight). The guided trail hike is 50 minutes, and goes in guided groups of 15 or so participants. This event ($7 per person) is fun, not scary. Come in costume to make it more fun! Halloween Campfire: Enjoy a ghoul-y ghost haunt and enjoy ghost stories and smores by the campfire at Lake Fairfax Park, 7 pm-9 pm. Smores ingredients will be provided; admission is $10 per person. City of Falls Church Halloween Carnival: The Halloween Carnival at the Community Center, 223 Little Falls Street., has been a popular event with kids for more than 30 years. There will be games, a moon bounce, face painting, crafts, a haunted house, movies, candy, and a live creepy creature show featuring the spookiest reptiles in nature. Fee is $2 per child age 2 and up; kids under 2 and adults are free. Times are 6-7 pm for infants through second-graders, and 7:30-8:30 pm for third-fifth graders. Purcellville Halloween Block Party: Purcellville invites neighbors to enjoy a night (5-9 pm) of games, music, food, a costume contest, and a free all-ages comedy show by Last Ham Standing. Potomac Overlook Halloween Party: The annual Halloween Party and “Haunted Nature Center” is a large community celebration at Potomac Overlook Regional Park, 5:30 pm to 8:30 pm, with live music, food, games, arts and crafts, storytelling, and guided hikes through the woods. Admission to this event is $15 per person for ages 4 and up; advanced reservations and payment required. Haunted Pond Jr.: This program covering nocturnal wildlife and local lore features live animals, a walk into the forest at night, a campfire with spell-binding stories, s’mores, and mild, non-scary stories. Haunted Pond: this program covering nocturnal wildlife and local lore features live animals, a walk into the forest at night, a campfire, s’mores, and scary stories in the last 30 minutes. Columbia Baptist Church Fall Festival and Trunk-or-Treat: Columbia Baptist Church hosts an evening of fun for all ages with inflatables, a petting zoo, family photo booth, crafts, snacks, and food for purchase (Vocelli Pizza and Chick-fil-A), and trick-or-treating trunk-to-trunk in the parking lot. The event is usually in the afternoon, rain or shine. Halloween Campfire: Enjoy a ghoul-y ghost haunt and enjoy ghost stories and smores by the campfire at Burke Lake Park; the event is 7-9 pm. Halloween Wagon Ride: Take a fun wagon ride on the not-so-scary side and learn about Riverbend Park’s features and animals. Rides are at 11:30 am and 1:30 pm. Annandale Parade: This annual community fall festival is the biggest celebration in Annandale. The parade (start time 10 am) has a Fall and Halloween theme and includes many costumed characters, plus bands, dancers, cars, and more. Fall-o-ween Family Festival: Clarendon Commons hosts a fun and free fall/Halloween festival (11 am to 4 pm) with pumpkin decorating, a petting zoo, center-wide trick or treating, photo opps, and balloon artists and face painters. Brambleton’s Inaugural Zombie Run: Are you a runner or are you a zombie? You choose! In this slightly scary timed 5k race, you can race through tunnels and trails dodging zombies, or you can play the role of the zombie yourself and chase the runners! The event takes place 5:30-8 pm and the proceeds benefit the Down Syndrome Association of Northern Virginia. Halloween Campfire: Enjoy a ghoul-y ghost haunt and enjoy ghost stories and smores by the campfire at Burke Lake Park, 7 pm-9 pm. Smores ingredients will be provided; admission is $10 per person. Halloween Wagon Ride: Take a fun wagon ride on the not-so-scary side at Riverbend Park. Find out about the animals whooo are out at night, listen for bats and meet one of the park’s not so scary animals. Bring a flashlight. Wagon rides are offered at 11:30 am and 1:30 pm; admission is $8 per person. Historic All Hallows Eve at Sully Historic Site: In the 18th and 19th centuries, Virginians celebrated All Hallows Eve with storytelling, fortune telling, fall foods and family gatherings. Experience these traditions as you tour the house and grounds by lantern light. Admission is $10 per person (or $12 for non-Fairfax County residents; for ages 5 and up. Del Ray Halloween Parade: The 20th Annual Del Ray Halloween Parade attracts thousands of people: Children, pets and strollers in costumes are invited to march and show off their finest and scariest Halloween garb with prizes in different categories. The parade and all activities are free; the event takes place 2-4 pm. Halloween Spooktacular: South Riding Proprietary hosts an afternoon of fun (2-4 pm), mostly around the annual costume parade for kids, on the Town Green. Trick-or-treat at Brambleton Town Center: Get goodies from shops at Brambleton, noon to 2 pm. There will also be a free craft station, balloon artist and free hay rides. This event is free and open to the public, and takes place rain or shine. Harbor Halloween: Free annual family-friendly community event with The Black Dog’s Annual Howl-loween Party (noon-2pm), trick-or-treating (noon-2 pm), a Halloween movie (Hocus Pocus, at 12:30 pm), and a Chef Pumpkin-Carving Contest (2 pm), presented by DARCARS. Also, you can get one free Capital Wheel child ticket with each paid adult ticket for children in costume.